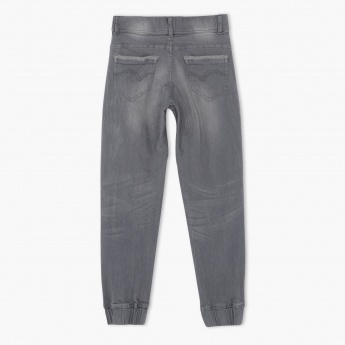 Make an incredible addition to your boy's closet with this pair of denim pants. It sports a washed out whiskered effect for enhanced appeal. The elasticated hems and drawstring closure at the waist add to its comfort quotient.